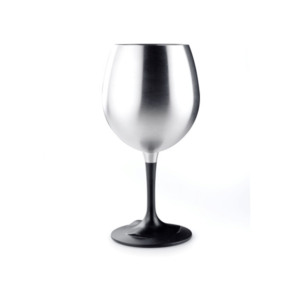 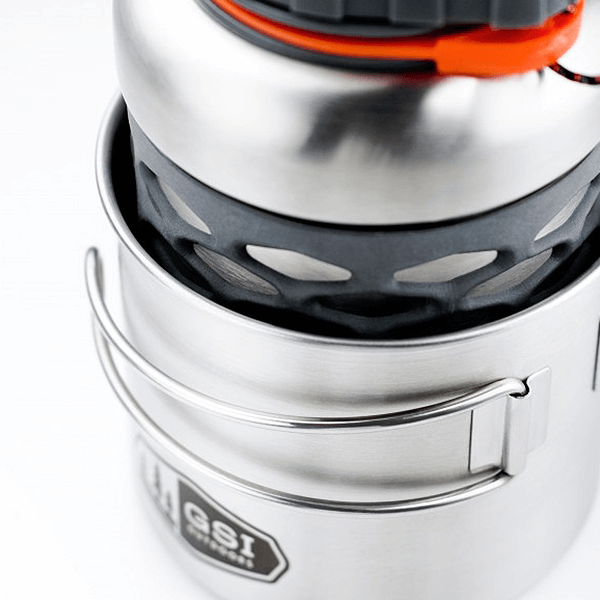 The 500-ml Glacier Stainless Bottle Cup/Pot is designed to fit around most round 1 liter water bottles, eliminating the wasted space of packing a more traditional cup. 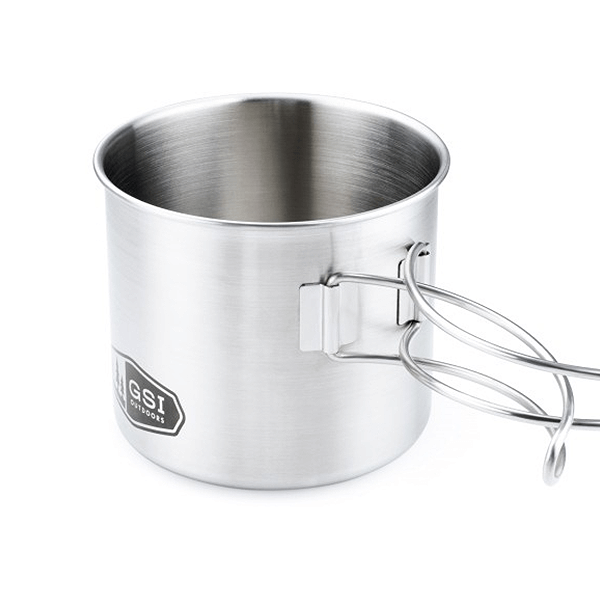 The wire handles fold flat to save space and extend for cooking or a little bit of extra reach so you don’t end up in the creek. 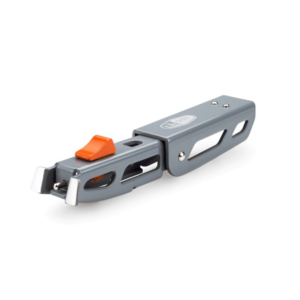 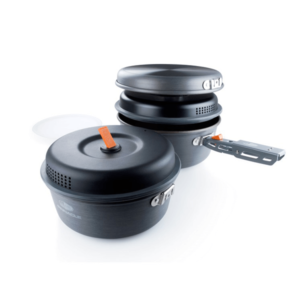 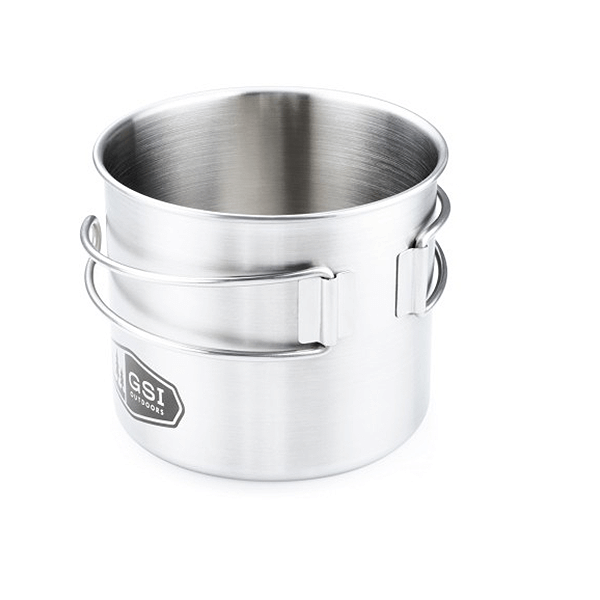 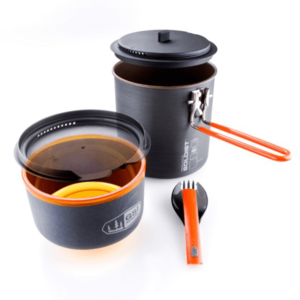 SKU: GSI68214 Categories: Cookware and Stoves, Liquid Containers Brands: GSI Outdoors.